UNIVERSAL INTEGRATED DISHWASHER DECOR DOOR FIXING KIT BUSH STOVES NEW WORLD. 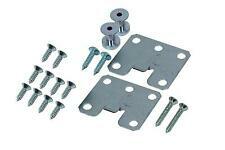 decor door Panel fitting kit for your dishwasher. THESE INCLUDE: BAUMATIC, CAPLE, NEW WORLD, KENWOOD, MATSUI AND BELLING. Watch how to fit the door. This will enable us to assist you more thoroughly with your request and to deal with any difficulties. GENUINE BELLING STOVES DISHWASHER RAIL GUIDE BASKET DRAWER WHEEL 082621378. Manufacturer's Code - 082621378. GENUINE BELLING STOVES DISHWASHER RAIL GUIDE BASKET DRAWER WHEEL. Belling IDW450, IDW604. Stoves 444445897 444445944. 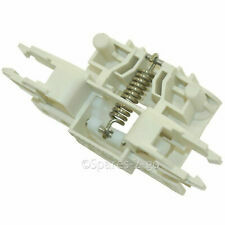 Genuine STOVES Dishwasher Door Hinge Pulley Cord. This will enable us to assist you more thoroughly with your request and to deal with any difficulties. DW60, FDW600W. 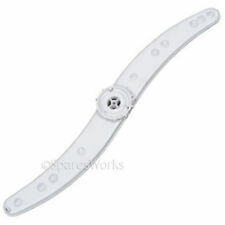 NEW WORLD / STOVES Genuine Dishwasher Upper Spray Arm Wash Rotor Nozzle. NEW WORLD / STOVES. The dishwasher spray arm consists of a hollow plastic shell designed to shoot high pressure hot water at the dishes and cutlery in order to clean them efficiently. 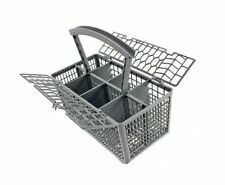 Deluxe UNIVERSAL Dishwasher Cutlery Basket (Grey). Cage Height: 125mm. Height (including removable handle): 235mm. Manufacturer's Code - 082621378. GENUINE BELLING STOVES DISHWASHER RAIL GUIDE BASKET DRAWER WHEEL x 4. Belling IDW450, IDW604. Stoves 444445897 444445944. Electrical Sales prides its self on having a green policy. STOVES DISHWASHER TOP SPRAY ARM FIXING NUT. Baumatic Dishwasher. Belling Dishwasher. Stoves Dishwasher. Standard cage size to fit the vast majority of models plus removable handle and cage doors to create more space and for easy cleaning. Deluxe Cutlery Basket for STOVES Dishwashers (Grey). Will fit the vast majority of Stoves models. Hoover Candy dishwasher models. This Dishwasher Part Fits. Height including handle: 223mm. Length: 223mm. BELLING / STOVES Genuine Dishwasher Cutlery Basket Cage. BELLING / STOVES. Select models of Stoves / Belling dishwasher with original part number 082632642. Quality spare part suitable for selected STOVES Dishwashers. Use "control F" on pc to find your number STOVES STN1400XP. Flymo Appliance & Parts. Dishwasher Parts. Carpet Cleaners. Carpet Shampoo. Water Jugs & Filters. Karcher Machines & Parts. Health & Beauty. Garden & Outdoors. STOVES DISHWASHER DOOR PEDAL HANDLE. Genuine STOVES Dishwasher Interference Filter. This will enable us to assist you more thoroughly with your request and to deal with any difficulties. 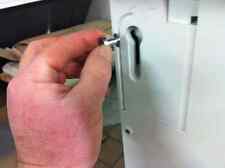 BELLING / Stoves Genuine Dishwasher Door Lock Latch Hook. BELLING / STOVES. This will enable us to assist you more thoroughly with your request and to deal with any difficulties. Belling 082621333. New World Stoves. STOVES 44445944. Dishwasher Door Handle Lock. Dishwasher Parts. Kitchen Appliances. Karcher Machines & Parts. Genuine spare part. Health & Beauty. Water Jugs & Filters. Washing Machines & Parts. Vacuum Parts. Dishwasher 3.5 Metre Long Fill Inlet Water Hose, Universal. Flymo Appliance & Parts. Dishwasher Parts. Tumble Dryer Parts. Kettles & Filters. Cooker Hobs. Karcher Machines & Parts. Health & Beauty. Water Jugs & Filters. Beko Dishwasher. Diplomat Dishwasher. Flavel Dishwasher. Lamona Dishwasher. Leisure Dishwasher.